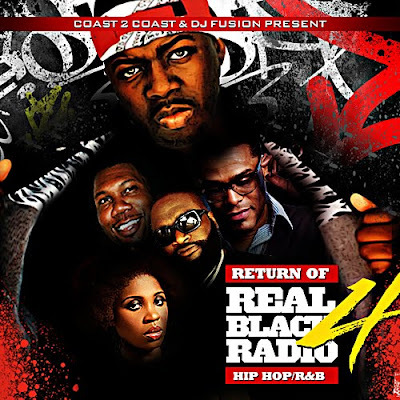 Coast 2 Coast DJs Present: Return of Real Black Radio, Hip-Hop & R&B Vol. 4 Hosted & Mixed By DJ Fusion (Shameless Self-Promotion) | BlackRadioIsBack.com - Official Blog of the Syndicated FuseBox Radio Broadcast! This mixtape - just like our previous installments - consists of totally clean/radio friendly songs of some great mainstream & independent Hip-Hop & Soul Music - so folks can feel free blast it at the 9 to 5, parental figure types and whoever you're around. Whenyou have a chance, PLEASE go to the each of the music artist's websites linked in the mixtape's tracklisting to check out more of their material - if you like it support them the best way you can (spreading the word, purchasing product, going to shows, etc.)! 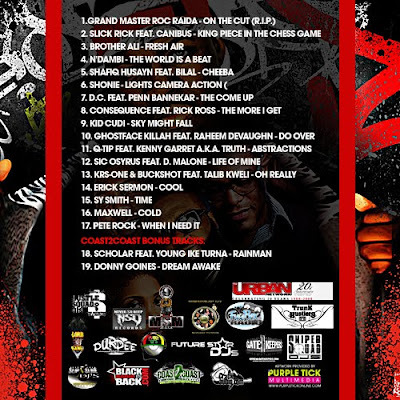 Feel free to go to the mixtape link at DatPiff.com, rate the mixtape & give feedback there as well!